The 1902 Release is the first one under the new SAP Release Calendar and is very close to our last “Dent Blanche” Release. Therefore, the amount of innovations is more limited than usually – and we are looking forward to provide you more of them in our next 1904 release on 19 April 2019. A new about dialog has been introduced that displays the version numbers of the available apps. This helps when referencing the change log or when you open a support request. The number of passwords that users must remember can become overwhelming, and passwords that aren’t used frequently are often forgotten. 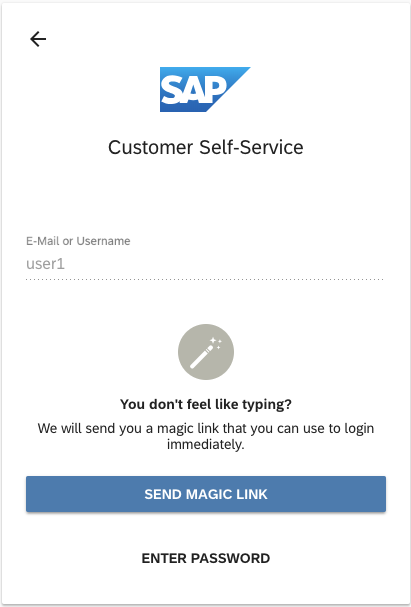 Within this version we introduce the Magic Link by Email feature as an alternative to password authentication. Reading the most important information related to an activity is now much simpler. Simply hoover over a given activity in the activity list or planning list. 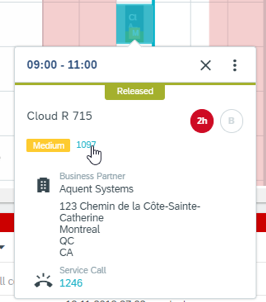 In the past, the activity list in a given service call detail page was rendered at the bottom of the page, making it necessary to continuously scroll up and down every time you wanted to read the activity details. This is no longer the case, as the activity list and details are rendered side by side at the top of the screen. It is now no longer necessary to copy and paste the number of an activity to view activity details. Now, by simply clicking on the activity number from the quick dialog, you can quickly access the activity detail screen. 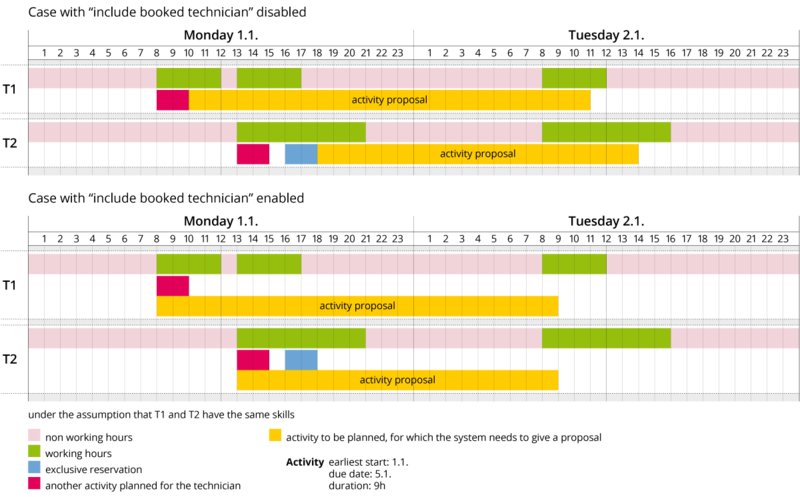 Unassigned Activities to be planned but not yet assigned to a technician. 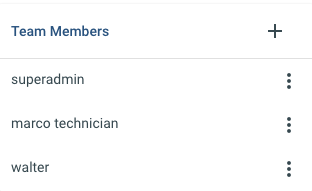 Assigned Activities assigned to a technician but not yet released. Released Activities assigned and visible to the technician on his/her mobile. 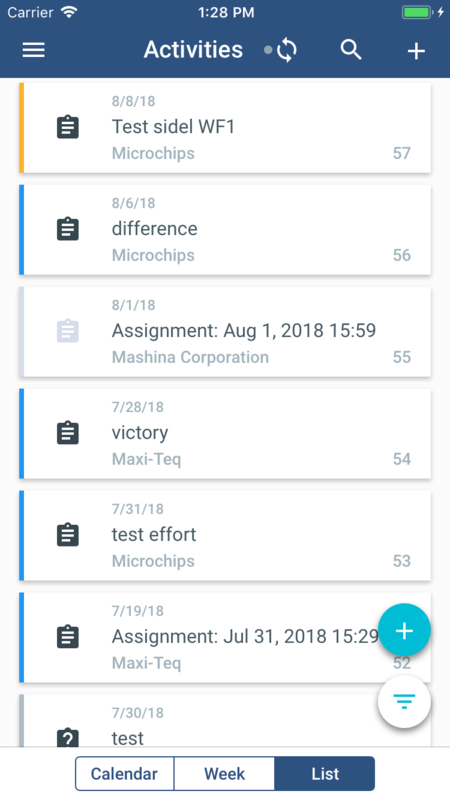 Now you can focus your attention only to the activities of interest by selecting the most suitable assignment state without needing to click on each activity. 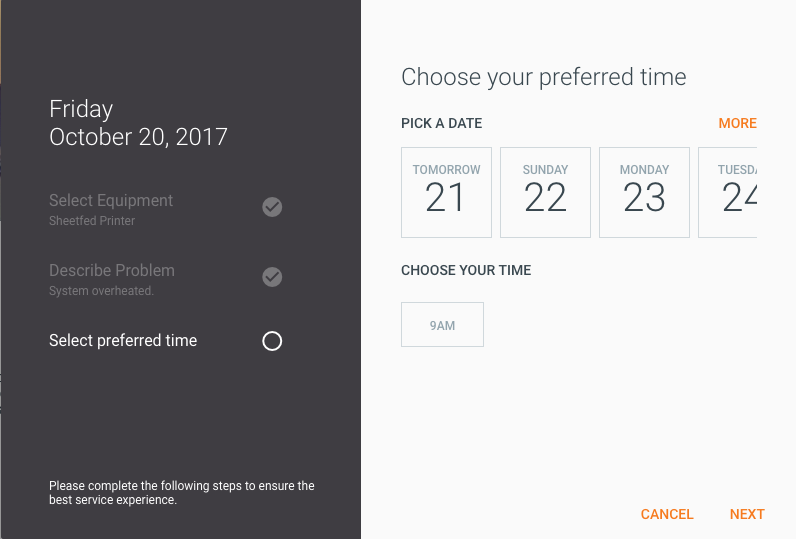 When planning activities, you might be interested in selecting only activities that occur in a given date range. 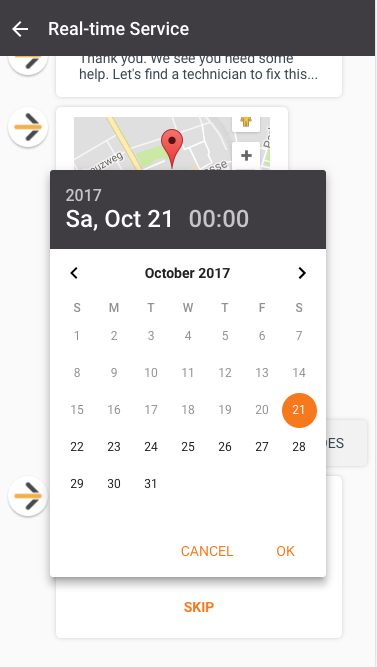 The date range can be defined with the help of a picker. 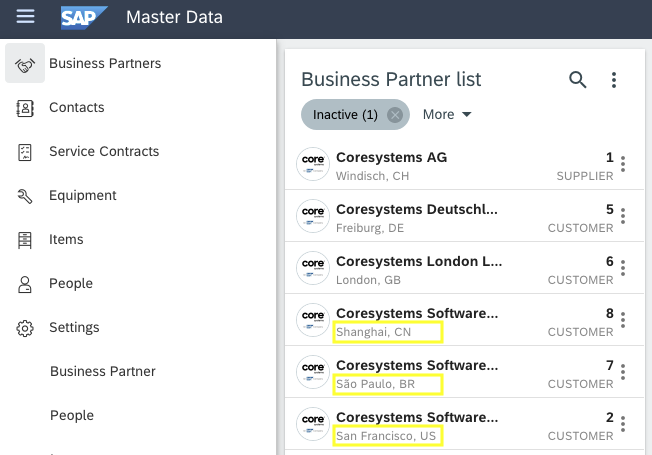 It is now easier for you to distinguish between different Business Partners without going into details for each of them. For SAP B1 and SAP ECC accounts we display a county and a city of the BILLTO address. An SAP ECC can even be configured so that a country and a city from any of the address (SHIPTO, BILLTO, …) can be shown. This way, companies with the same name but deferent addresses can be easy distinguished. The Report Template Management has moved from my.coresuite.com to inside the Analytics and Reporting App. As with my.coresuite.com, it is possible to create, edit and delete Templates, as well as upload and download a template file. Crowd owner’s FSM account can not only share the data with service partners, those service related information can be sync back to backend ERP system. Crowd owner can branding his own crowd that customize template of emails need to be sent to service partner. All of the service partners joined the crowd will receive the emails with crowd branding. There are default 5 steps in connection wizard. Each service partner has to set up those 5 steps to join the crowd. 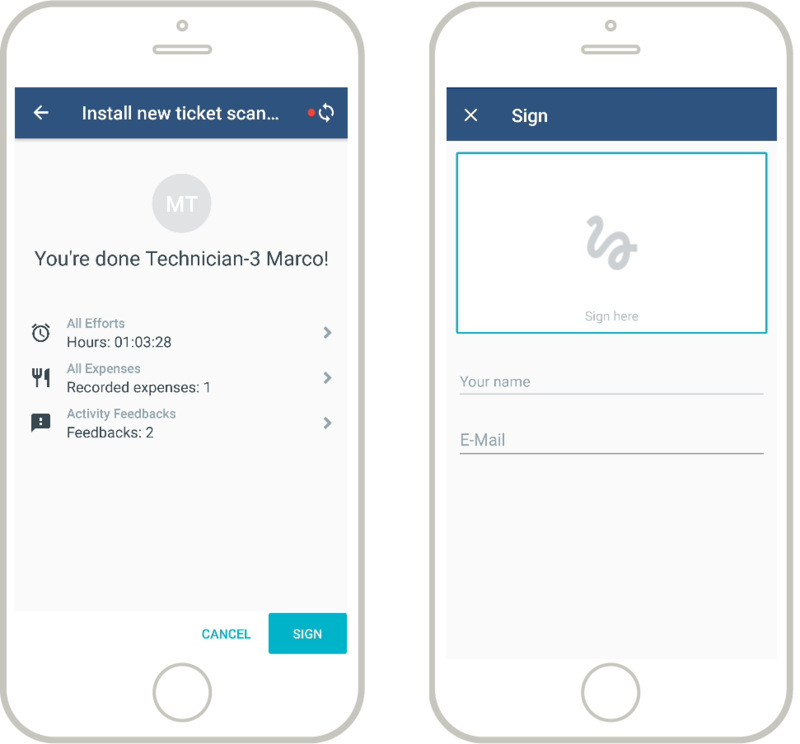 With new connection wizard, crowd owner can simplify the connection steps to help service partner onboarding crowd quickly and easily. Push notifications now support two devices per user. So technicians can be logged in on two devices; e.g. on a mobile phone and a tablet, and both devices will receive the push notification. It is now possible, via a company setting, to increase the quality of the images that are uploaded from mobile devices. This company settings defines the image quality (in pixels) that should be uploaded. Previously this was hardcoded to 650 px. It is now possible to have an image quality of up to 3000px. Note: Raising the image resolution increases the attachment file size, leading to longer sync times. Enhancements to tables means it is now easier to edit table content inline, without the need to navigate to a new screen. 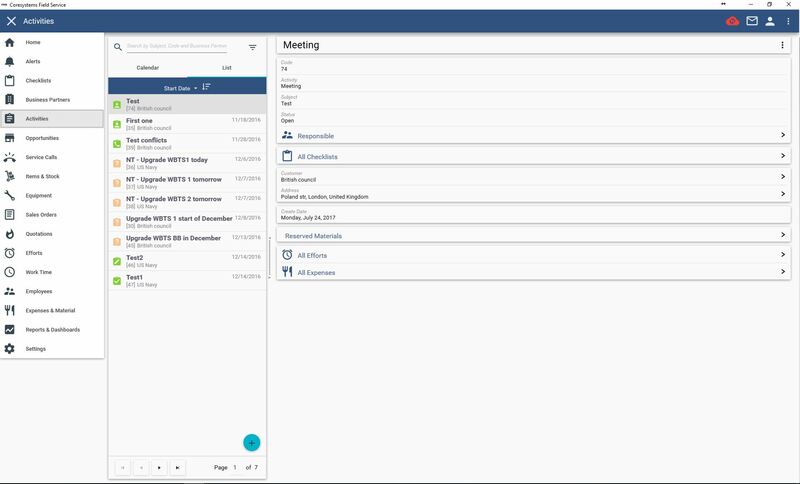 Moving towards a harmonized user experience for the 4th generation CRM, we worked to bring a consistent experience across SAP CX Portfolio: updated colors, brands, fonts and icons will also bring a fresh new look to our UI. “Dent Blanche” is our first release as an official SAP Product, part of the C4/Hana portfolio. We now started to harmonize the user experience toward the SAP standards to make it consistent and enjoyable across all the SAP C4/Hana portfolio. For this release the focus was put on the application shell, navigation and login screens. The changes are small but have a noticeable visual impact, new SAP icons and the SAP 72 font have been implemented. Becoming part of SAP means we need to redefine the product portfolio and how we position our solution. The most notable change here is the renaming of some of our applications alongside the SAP. Starting with this version, it is now possible to receive feedback on your service performance and improve the quality of your service thanks to the new rating concept. With it, your end-customers can view or provide ratings in the Self-Service Portal and Service Assistant. 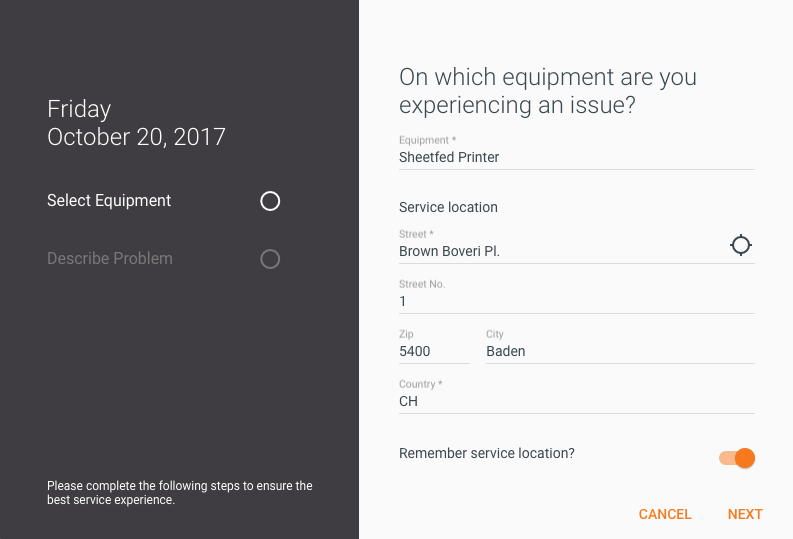 Based on the given business model, this new setting allows to show equipment location in Service Assistant without a log-in. 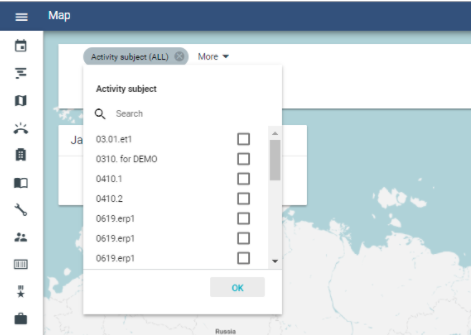 Planners often use custom fields to store information related to the SLAs or Territories of activities. In both the activity list and in the planning list, it is now possible to filter results based on custom fields so that only relevant information is displayed. 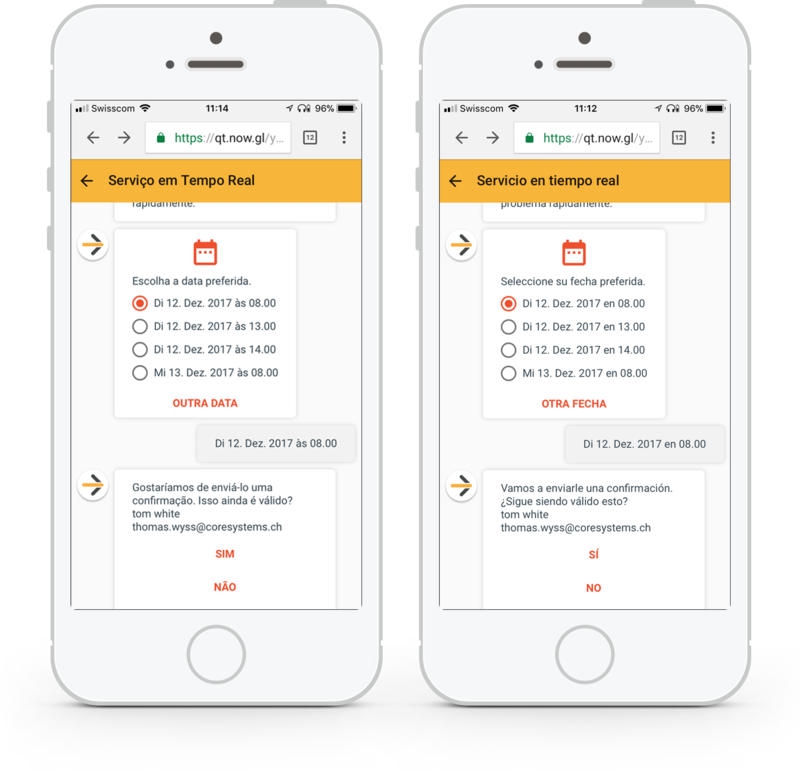 When a technician fly over continents to provide on-site services, he or she can now easily book travel and work time in different time zones. The manager can then review the technician’s work time occurring in different zones as well. 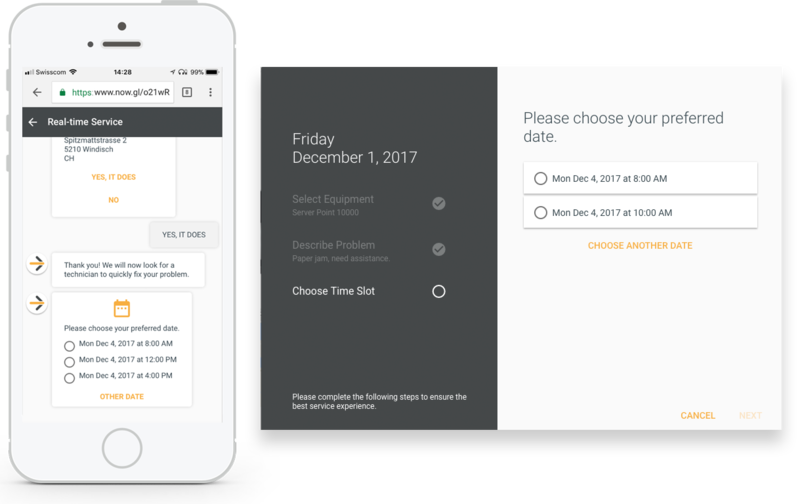 With the move to SAP, we also renamed the “Knowledge Management” Application to “Smartforms and Feedback” to make it clearer that this feature contains so much more than just a static checklist. With this release we updated the template designer with a focus on improving the usability of chapter navigation and using the clipboard to copy standard elements from one template or chapter to another. As we are part of SAP we enable you to embed your SAP Analytics Cloud Stories into Analytics & Reporting App. 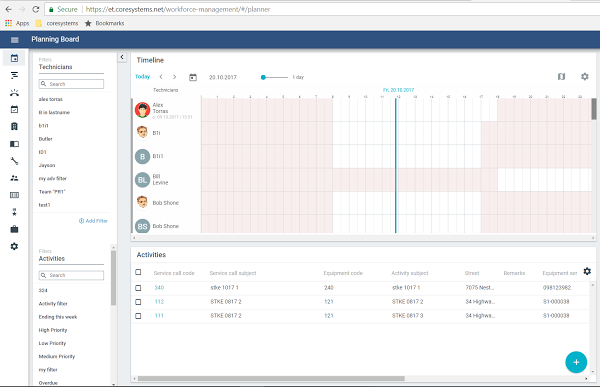 With this you can create more complex dashboards and display them next to your existing FSM Dashboards. 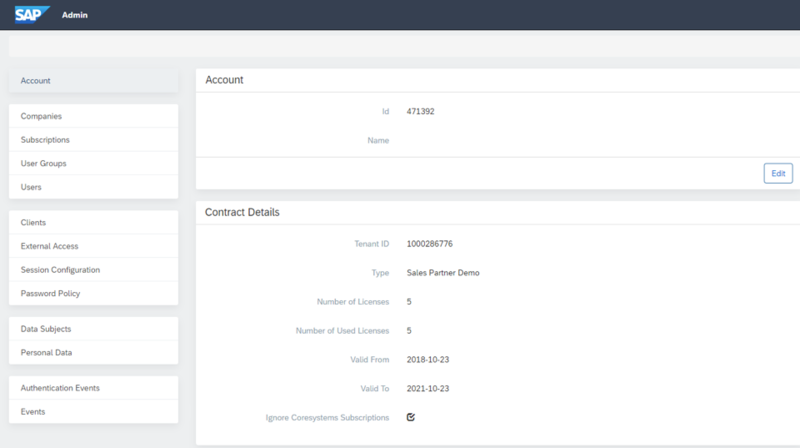 Without needing to manage subscriptions, administrators can now manage user access on the account level and bulk edit or activate multiple users with just a few clicks. Having a partnership with service company is serious decision. Manager needs to confirm partnership agreements, provide service resource information etc. New partner connection wizard help manager prepare fundamental connection step by step. Even manager is disturbed in the mid of process. He can easily start from the step existed last time. Some jobs are committed to service company and end customers already. But assigned technician cannot work on the job. 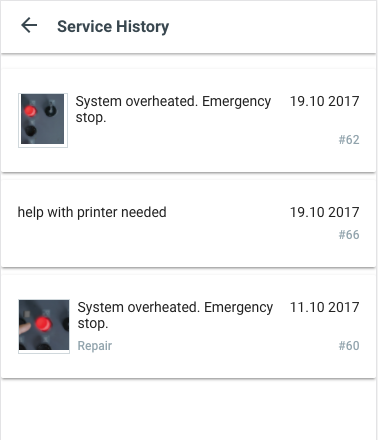 What can service manager do in this situation? In order to keep end customer happy and company good reputation, Service manager can quickly re-assign the job to the alternative technician to make sure end customer can get the service. Some data such as master data or finance data is always stored in SAP ERP back end system. 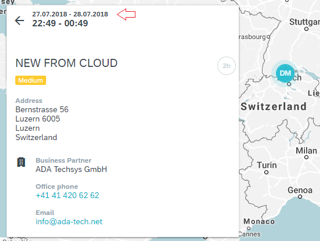 How to share those data with FSM cloud and partner to make sure they can get correct information about customer/equipment to provide the service to end customer? Or how to get on site worksheet information to bill to end customer in the ERP system? Crowd Workforce will support SAP B1 and ECC integration. With this release, users now have the ability to export / import people – skills assignments. 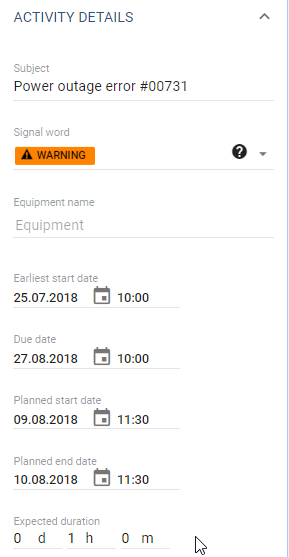 Do you manage skills to people assignments in an external system and you want to have an easy way to upload all the assignments changes via a Data Loader? The new feature will solve your problem. 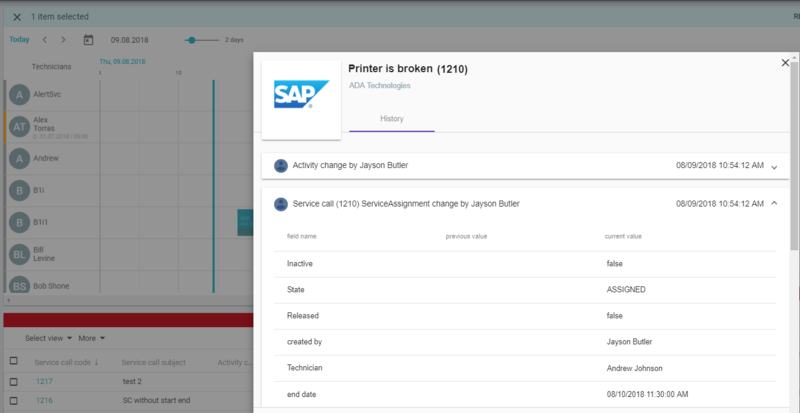 You can export the skills assignments to have a clear picture of your technicians capabilities, modify the assignments in the same file, and then import it back to SAP Field Service Management. As an integration engineer, are you looking for push notifications from SAP Field Service Management? The Streaming API enables an external system to receive notifications whenever an object in SAP Field Service Management is changed. This notification consists of the whole Data Transfer Object itself (DTO). In the first version only the Service Call and an Activity DTOs are supported. 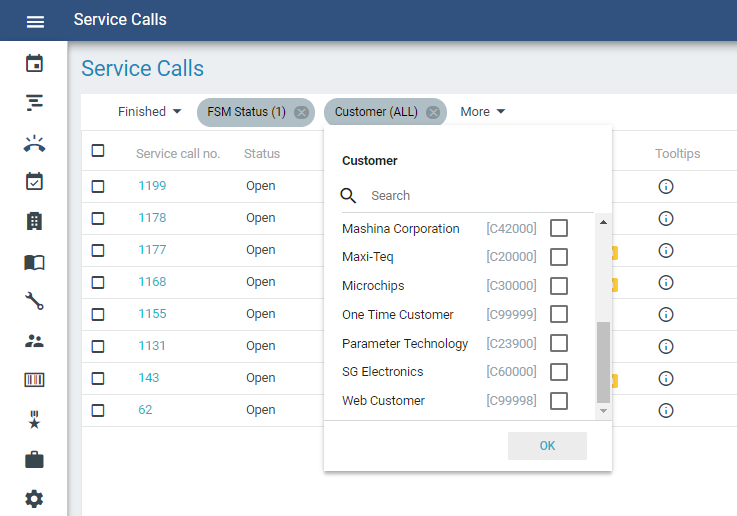 Are you planning on integrating with SAP Field Service Management and you want to create a Service Call via an API? 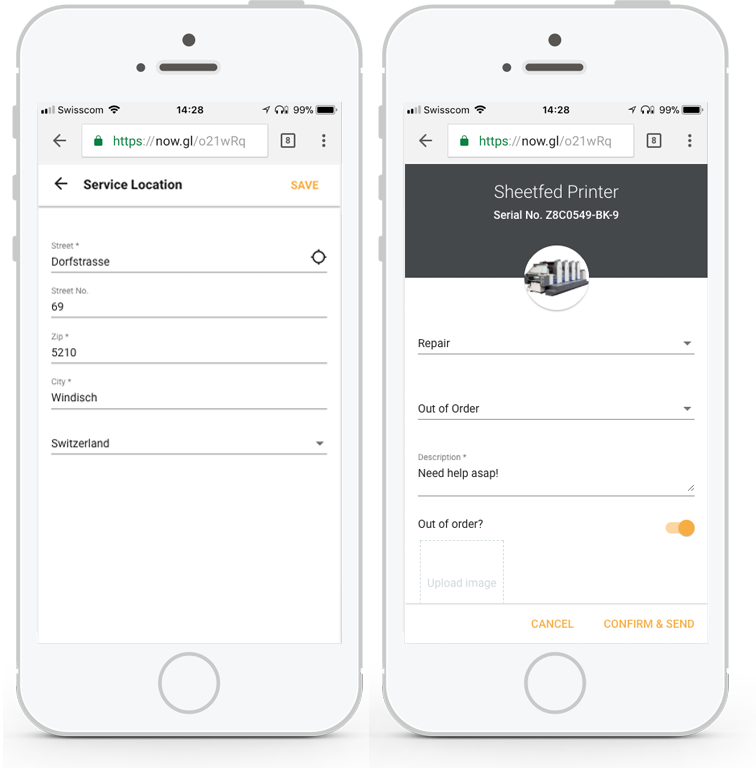 Now you can create a Service Call and an associated activity more conveniently using the Service API. You manage skills to people assignments in an external system and you want to have an easy way to upload all the assignments changes via a Data Loader? The new feature will solve your problem. 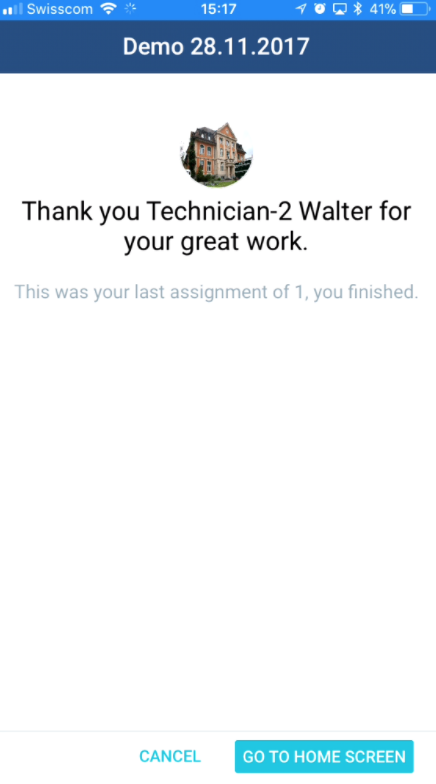 First, export the skills assignments to have a clear picture over your technicians capabilities. Second, modify the assignments in the same file and import it back to SAP Field Service Management. As an integration engineer are you looking for push notifications from SAP Field Service Management. The Streaming API enables en external system to receive notifications whenever an object in SAP Field Service Management is changed. A notification is the whole Data Transfer Object itself (DTO). In the first version only a Service Call and an Activity object is supported. 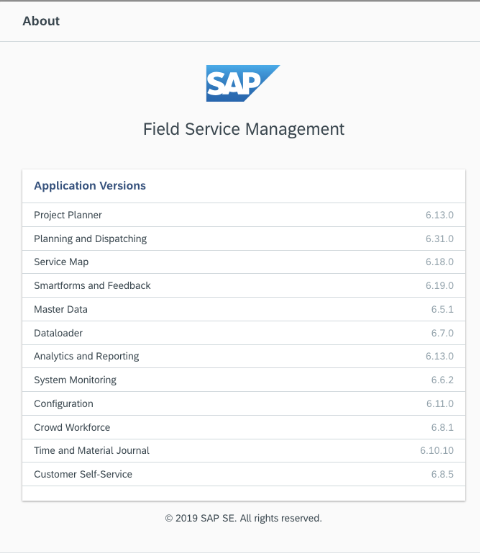 You are integrating with SAP Field Service Management and you want to create a Service Call via an API? 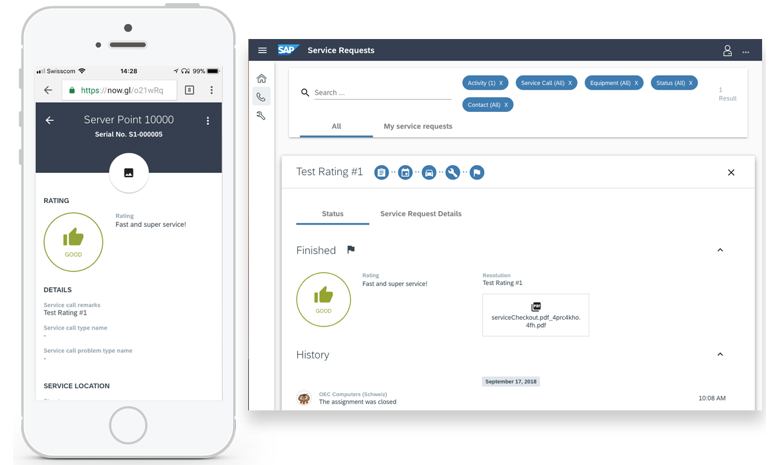 Now you can create a Service Call and an associated activity in a more easy and orchestrated way via high level Service API. Starting with this version, it is now possible for Admins to generate a PDF document which includes selected QR-Codes. Branding is considered as well and, if needed, the cloud report can be adjusted individually. With this release, we have made several security enhancements. 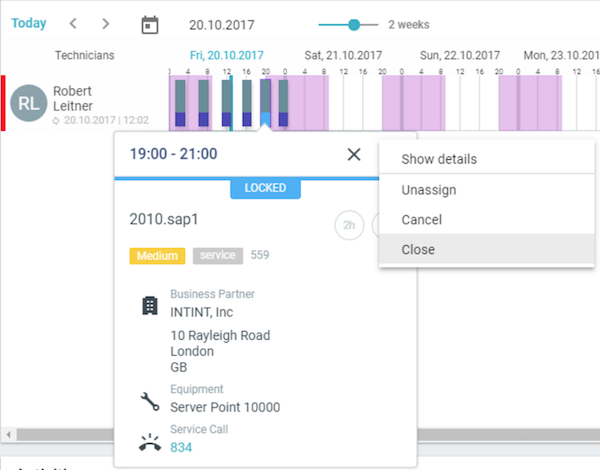 Easily track the changes on service calls and activities. Review when a certain activity has been assigned to a technician and when it has been released. The lifetime of your service call and activity at your fingertips! Finding the best matching technician is very challenging, especially when different parameters play a role, such as technician availability, already-scheduled activities, the duration of an activity, and reservations and skills. This complex computation is now resolved using our AI-Powered Best Matching Technician feature. Another important towards the Intelligent Enterprise. 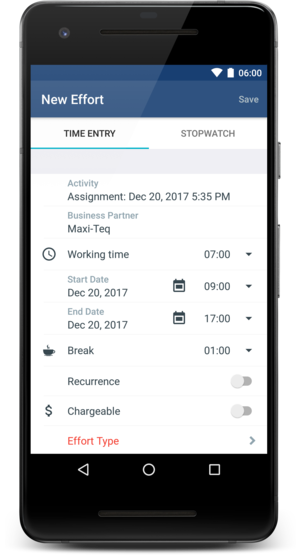 The example below shows how the AI-Engine would extend an activity with a duration 9 hours in case a selected technician has non-working hours and reservations that do not allow him to complete the activity without interruption. This would impact only the earliest start and end date of the activity and will leave the estimated duration untouched. 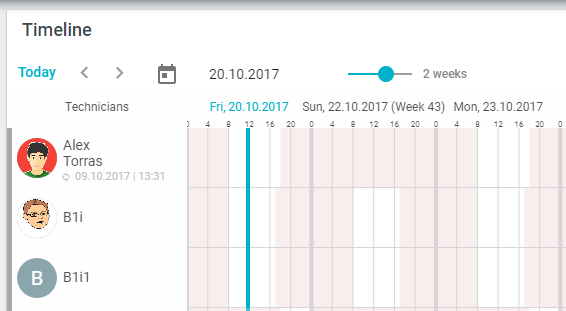 Estimated time to perform an activity can now be defined. This allows for more accurate autoplanning, as well as the possibility to generate reports of estimated duration vs. effective duration, and therefore to optimize the planning of similar activities. Often customers have different entities which have the same name but are distinguished by a different code. 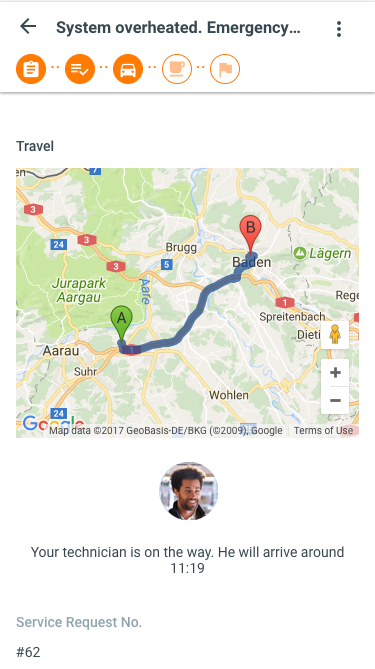 Locating the right customer could be very difficult in such cases. Now, you can quickly identify your customer with a clean view containing the customer code, substantially reducing errors. This feature reflects a modification of application behavior. 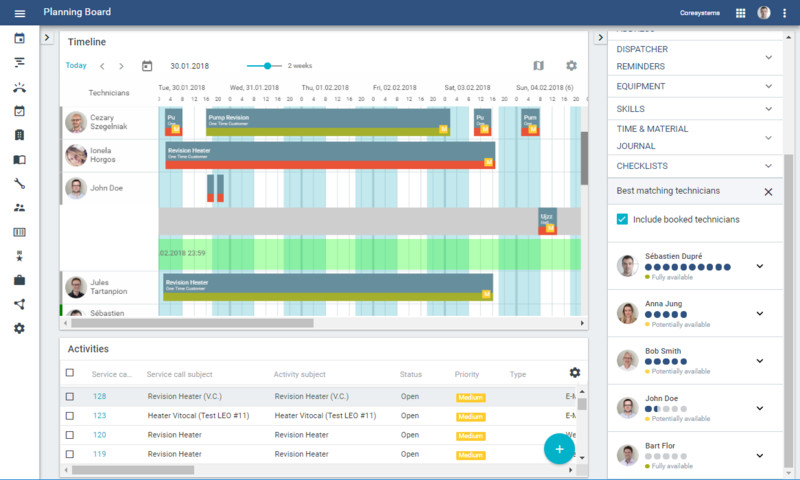 In order to better separate the responsibilities of the project manager and the planner, it is no longer possible to change the dates of an activity coming from the project management app in the planning board or on the activity sidebar. 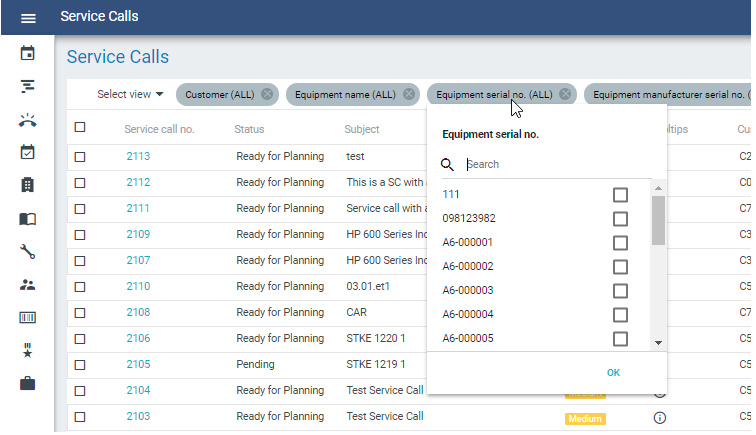 Attachments added in the ERP system can now be displayed and downloaded from the Service Call detail page. Attention*: ensure that your connector supports this functionality. Customers often search using the activity code, causing the application to display all of the activities containing this code. This can make it difficult for the customer to find the best matching activity. To address this, we have improved the filter search logic to make sure the best matching activity displays on the top of the list. 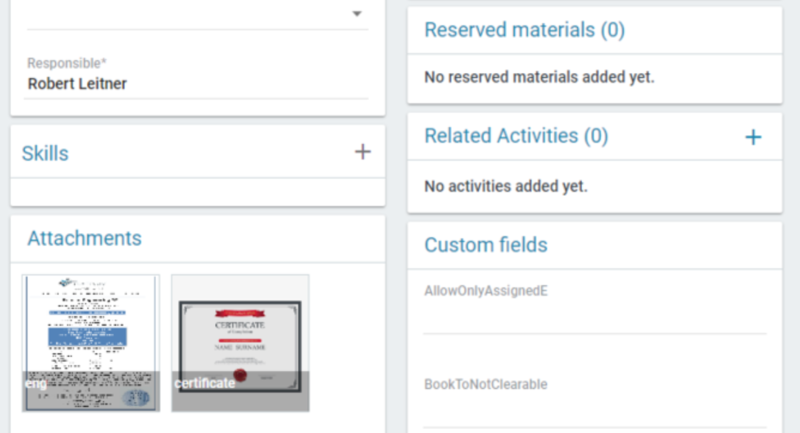 You can now restrict effort, material, millage, and expenses creation ONLY on open activities. This will help customers avoid invoicing the wrong work time sheet to a customer. 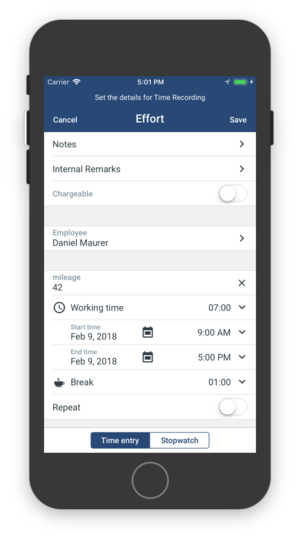 Inactive technicianss can also be filtered out to ensure that the service manager books the time sheet to the right technician. Time & Material Journal is now in alignment with with the Google material design standard. 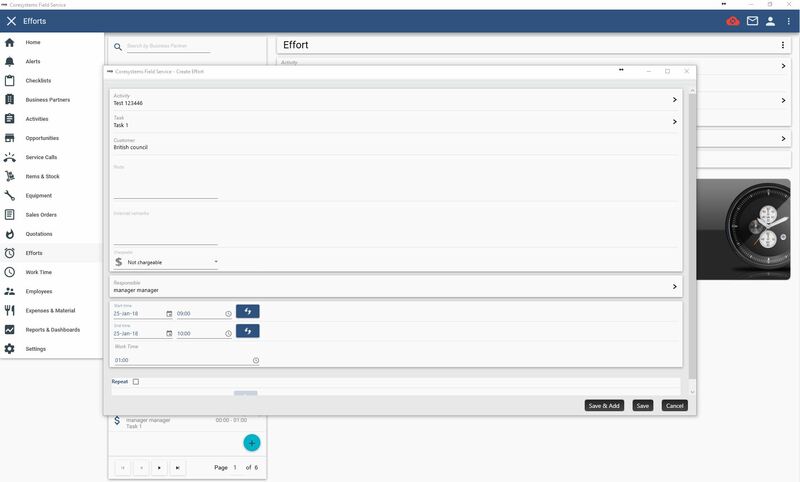 This helps users to more easily create, update and delete effort task types and expense types. Approval work flow steps are more flexible. They allow service manager to approve/reject effort, millage, expense, expense that are in change request status in case the technician is unable to perform the changes him or herself. 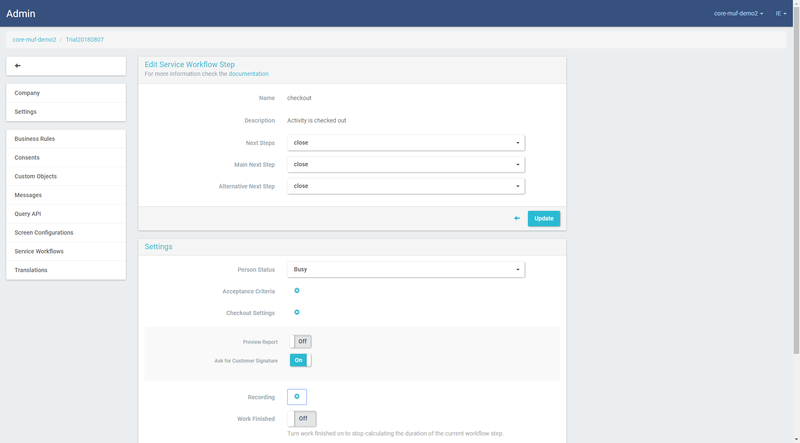 In the past weeks, we have released several improvements for usability and performance related to checklist template management We have provided a new user interface with the option to search and filter templates by category. With this release, we focused on validation of element IDs when referencing an element in a visibility condition or calculation. Now, we automatically update all references when the user changes the ID of an element. 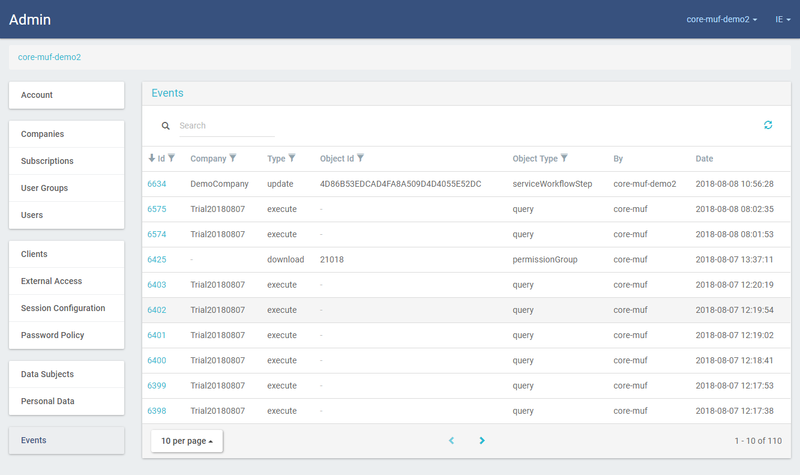 We provided a brand new module to define and execute queries in the Analytics & Reporting app. This allows administrators or team leaders to define queries which provide an overview of the collected data. We allow save the to execute them later on or share them with team colleagues. Also, we support the export of query results to CSV, Excel and JSON formats. For auditing and trouble-shooting, we now capture and display any action or change that was done in the admin. The event log can be viewed by super users including the details who did the action when. We now have the option to assign user groups to several users with a few clicks. 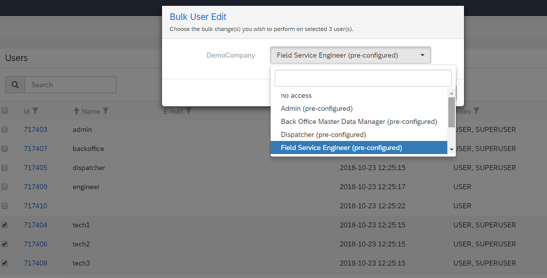 To provide this option, we display the user group in the list of users and provide a “Bulk Edit” function after selecting one or more users. With this action, you can assign the same permission to several users at once. 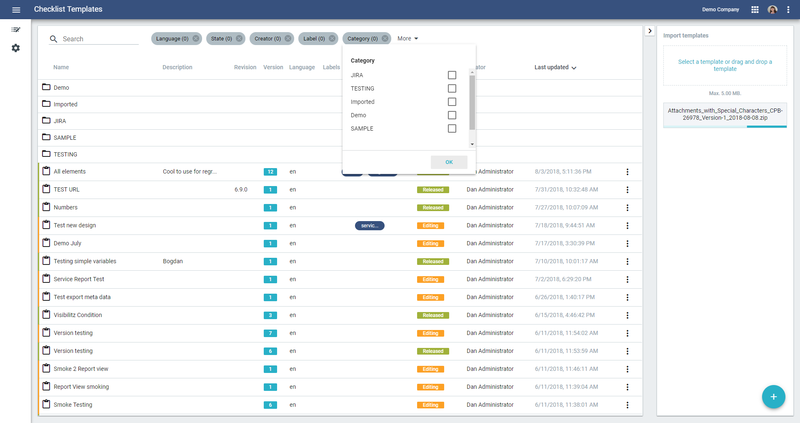 With the improvements in user management and log access, we saw the need for having the capability to filter by several different columns in tables in Admin. That’s why with this new release we provided a simple filter which supports column filters for all tables that are displayed in Admin. As we are introducing a more granular permission system, a first step to make this possible was to change the edit screen of the permissions in the user groups. You now get an overview per data object what permissions for the given user group apply. By clicking on the “Details” you can get an overview with the setup of all permissions. Crowd owners can now build their service crowd marketplace. Only crowd owners can see all of the service partners they have invited. 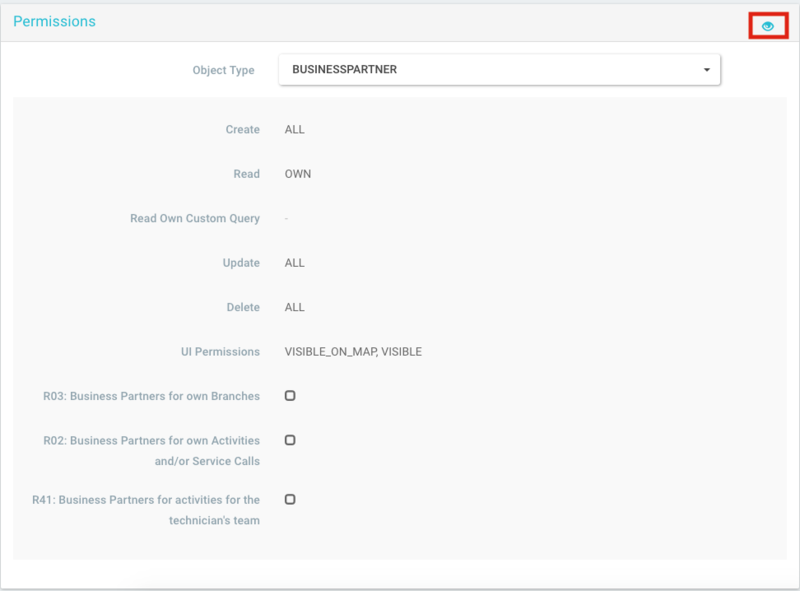 Service partner can always open the connection wizard at any time to finish the connection onboarding with the crowd owner. 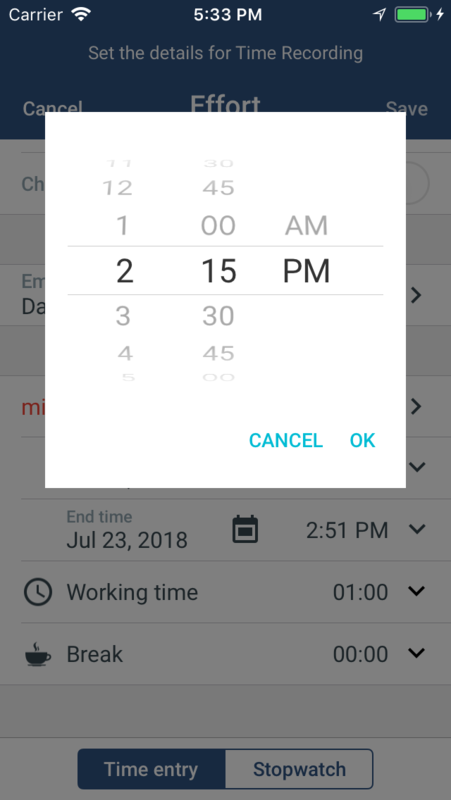 Based on on a company setting, time entry on mobile can now sped up by allowed users skip intervels of 10 or 15 minutes. We introduced steppers and a new “Finish” chapter / page to better guide the technician when filling in and close checklists. Chapters or pages with required elements are now highlighted better in the stepper navigation and the last page displays and overview of missing information. The technician has now the option directly jump back to the page where the information needs to be filled in. 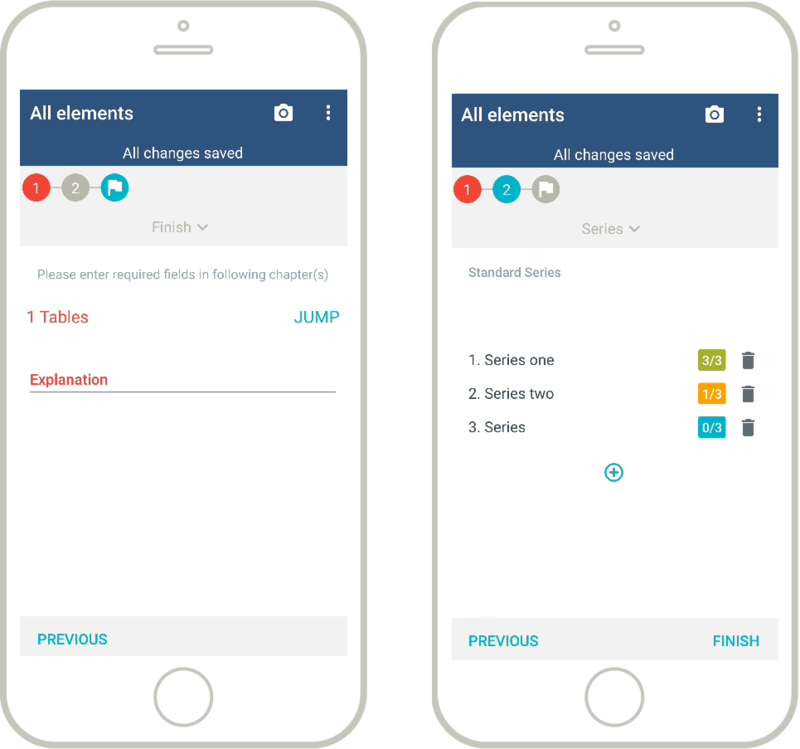 Furthermore we improved the design for series elements in checklist instances. Now it is clearly visible how many elements are filled in inside each instance of a series element and how to delete an instance of a series element. With the upcoming release we are happy to announce that we’ve focused on improving the quality of the iOS mobile application. Small features were also included, but the priority for this release was stabilization and bug fixes. The technician who is the responsible user can no create an effort on behalf of other technicians for that activity, Saving other team members the time required to enter duplicate efforts. Many technicians work in areas where internet connection is a luxury or sometimes not available. 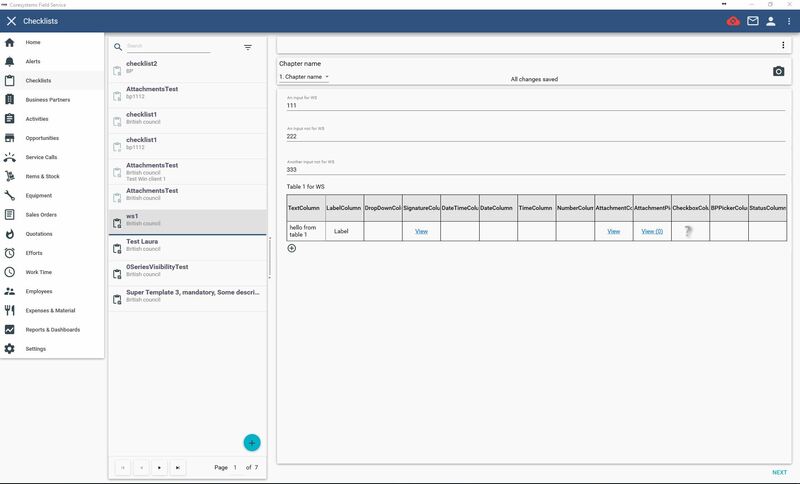 To enable these technicians to do the full service workflow including checkout completely offline we provide now the option to switch of the report preview during the checkout integrated in workflow steps. Technicians can then decide to show the report only in case they have internet before starting the checkout. If there is no connection technicians can show in the checkout the overview of effort, material, mileages, expences, checklists or feedback recorded on the activity and capture the signature directly without generating the online PDF report. 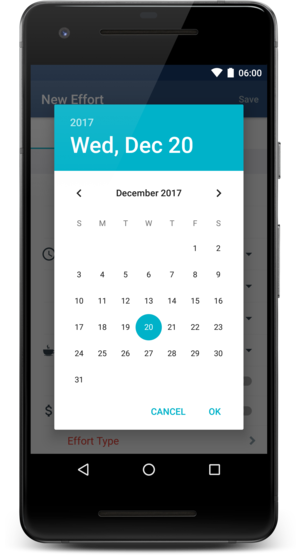 With the upcoming release we are happy to announce that we’ve focused on improving the quality of the Android mobile application. Small features were also included, but the priority for this release was stabilization and bug fixes. 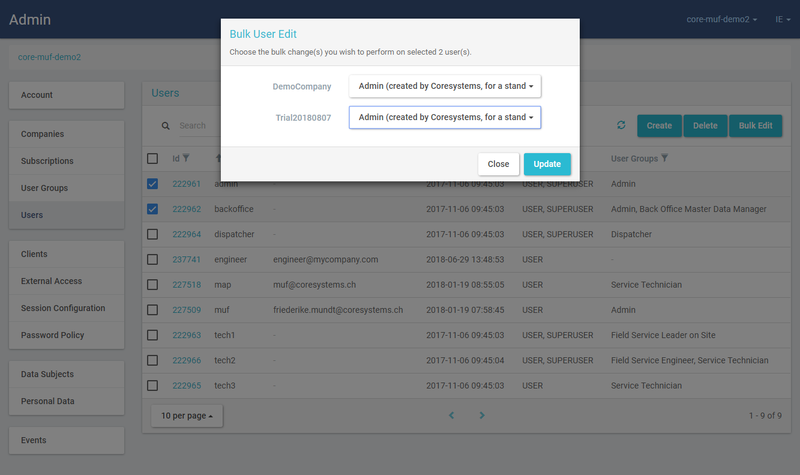 You can now restrict Effort, Material, Millage, and Expenses creation on activity to only the responsible user, helping reduce errors and prevent changes to the activity by other users. With the upcoming release we are happy to announce that we’ve focused on improving the quality of the Windows application. Small features were also included, but the priority for this release was stabilization and bug fixes. In Castor release, the new User API is available for 3rd parties. 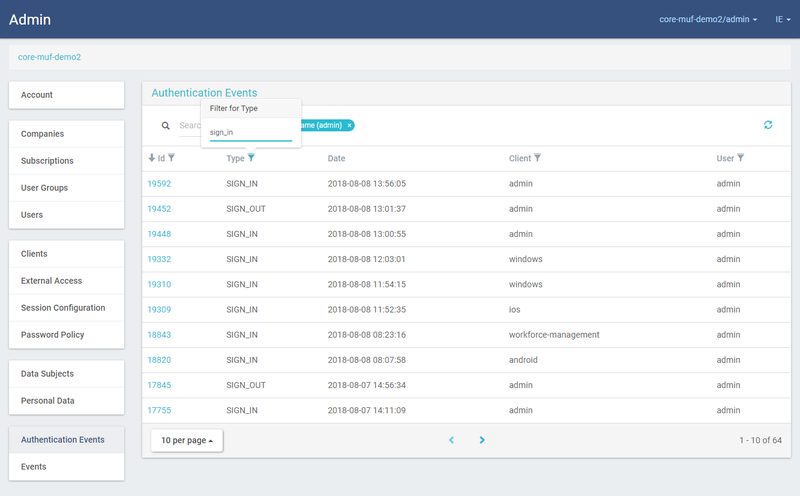 The User API enables 3rd party systems to create and manage user records accross account and linked companies. With new API it is possible to create new users with access right to a specific company or to all companies in an account. With this release, you will be able to protect your Moment using a login dialog in order to access sensitive data (e.g. equipment details, warranty, etc.) or to utilize a specific Moment (e.g. Service Request, etc.). 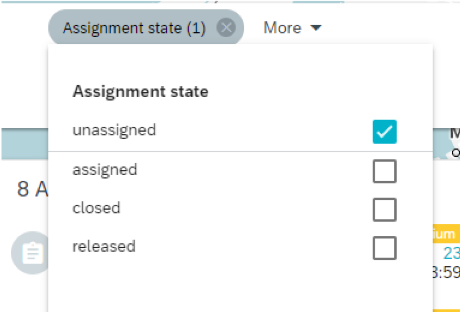 With this version, it’s now possible to auto-release planned assignments while avoiding the middleman. Back button and a more recognizable save button in every dialog. Sticky submit button in summary dialog. Include Back button and make steps clickable for faster navigation through dialog. Proving initial search results and an improved explanation of input values. It is now possible deactivate and translate Moments. With drag and drog, you can now change the sort order of Moments. Many companies have different customers registered with the same name, but they refer to a different entity, making it difficult to distinguish them when filtering. 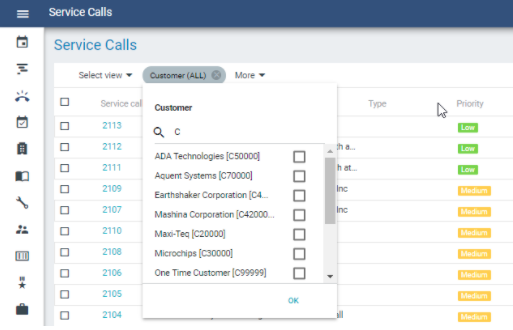 The customer number is now displayed next to the customer name, and it is now possible to search by customer number. The new version of the map is currently accessible via the following link and the preview environment in order to collect feedback. 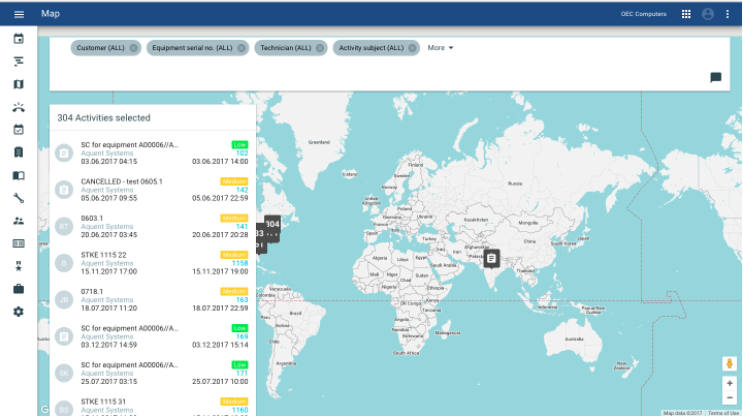 When switching to other applications to the map and back or refreshing the map page, all user settings (filters, date range, visible items) are maintained. When multiple items are aggregated they are then displayed on a list. It is now possible to click on a single item in such a list to quickly access the details related to the selected object. With this release we set a high focus on validation of correct user input and usability. One main issue we had with display and usage of the component used for the autocomplete to enter values in visibility conditions or calculations. We now used a new component that can be used more smoothly and provides more options for us to improve it further. One change that comes with this component is that one has to type # character in order to see the list of available values to enter. 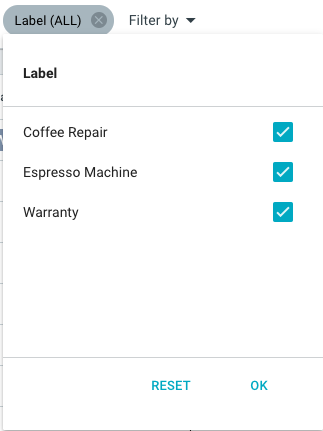 Besides the new component for auto-complete we also added a lot of validation in the background to prevent that users can enter invalid data which might lead to checklist templates that might not be fully functional. Furthermore we added hints and information whereever we saw it will help the user to create checklist templates without having to read the manual or ask a friend. In certain industries it is important to be able to trace back to the person that created a new version of a specific checklist template. In the past we defined that the create person of a template was always the person who created the very first version for this template. With this release we adjusted this process the set the person who created the new version as creator that way we allow to trace back who created this specific version. When working in different environments for auditing or testing it is important to be able to export and import a checklist template from one company to another. Since we did not store all meta information like template name and description in the export file we generated a generic name for the imported template. 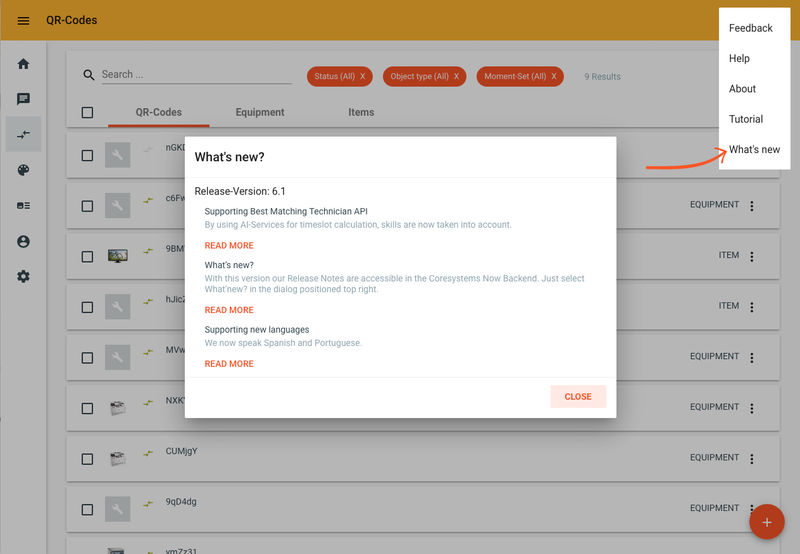 In this new version we now export all relevant checklist template meta information so that the template can later be imported in another environment keeping the same settings. 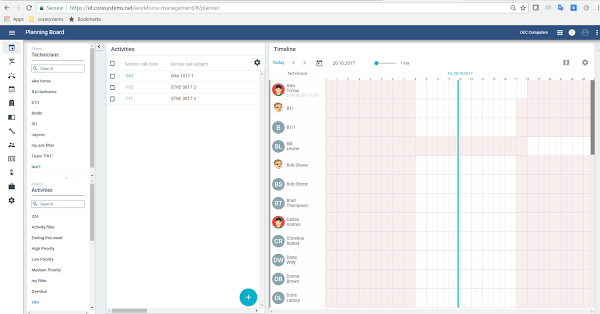 It is now possible to create multiple dashboards and each may contain different charts or widgets as we call it. This release is the first part of the refreshment of our dashboard monitor in the Analytics & Reporting App. The most asked for feature to create and display different dashboards is now available, further udpates are planned with more features–such as sharing of dashboard, among others–in future releases. 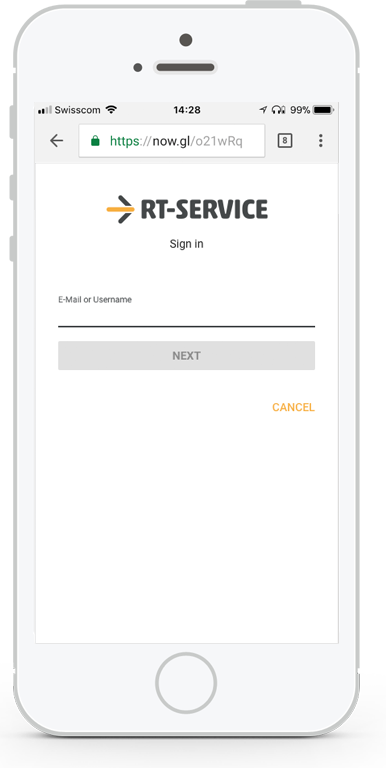 Our mobile app is designed to make the work easier for service technicians so we updated the login screen with a more fresh look! We’ve updated the effort creation screen to make it easier to enter effort for an activity. With the upcoming release we are happy to announce that we’ve focused again on on improving the work with workflow steps. It is not possible to see the history of all workflow steps on a certain activity. 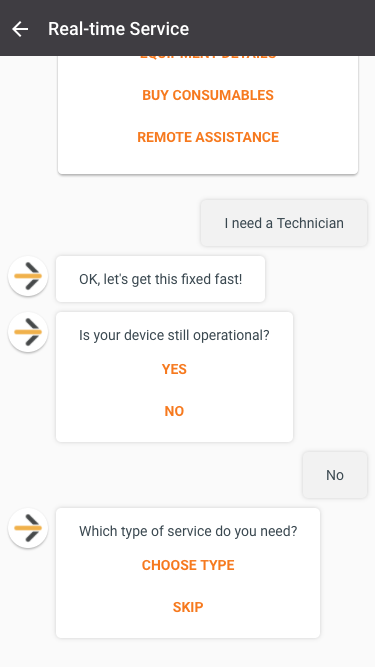 Furthermore you can define for each workflow step a text as acceptance criteria which will be displayed to the technician before doing the next step. 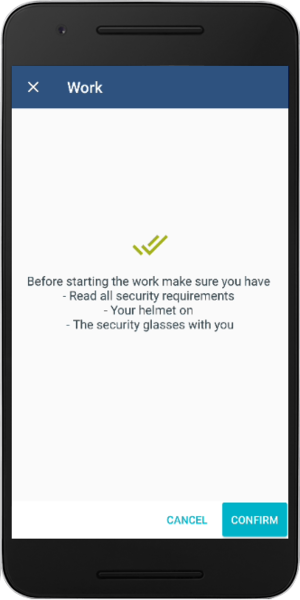 This feature allows on the one side to display important health and security information before performing a certain work and on the other side it allows the technician to cancel the action in case they clicked the step by accident. This setting is configurable in the service workflow in the admin portal. 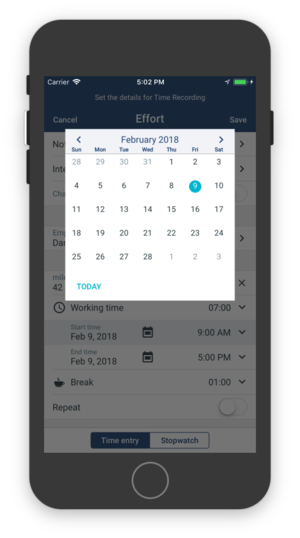 In order to keep separate the responsibility of the project manager and the planner, it is no longer possible to change the dates of an activity coming from the project management app in the planning board or on the activity sidebar. It is now possible to create multiple dashboards which may contain different charts. This is the first part of the refreshment of our dashboard monitor in the Analytics & Reporting App. 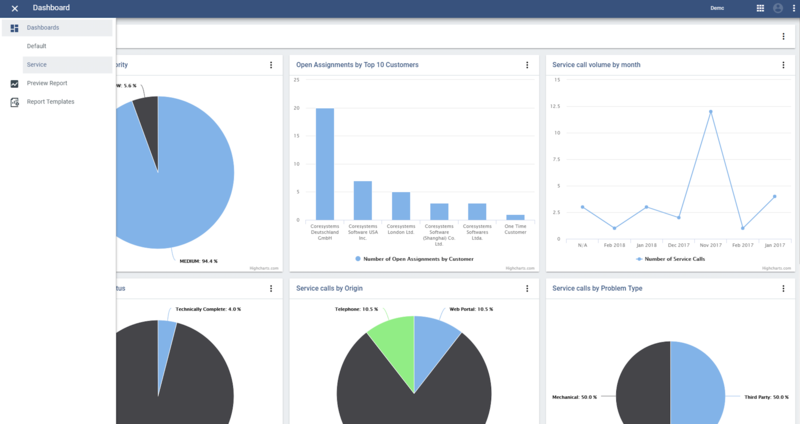 The most asked for feature to create and display different dashboards is now available, and the app are udpated with more features–such as report sharing, among others–in future releases. Note: The changelog for Analytics & Reporting will only be available after this productive deployment as we did not do any changes in this application in the last 1.5 years. 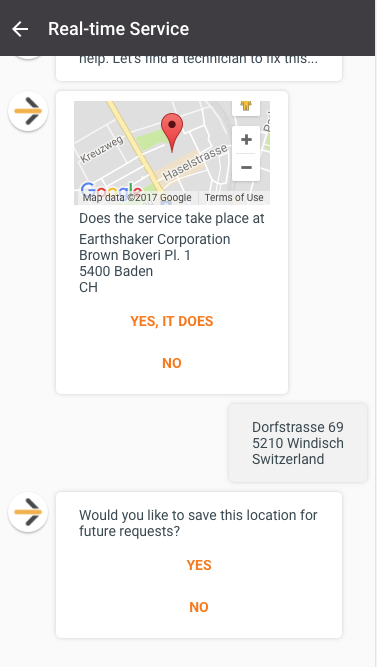 It is now possible to use the map assistant when there is a valid address for the employee, business partner and/or equipment record. Additionally, we now also support geolocation for equipment if the address does not exist. When the user uses USA localization, the system will auto switch distant unit to miles. 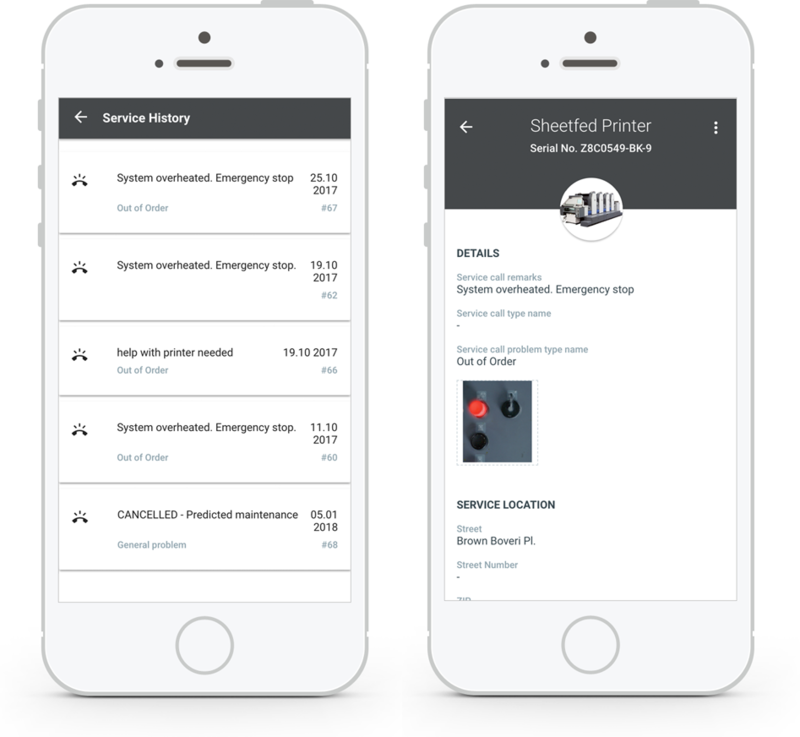 For existing customers that were using scenarios in the past to handle sorting of technicians, they can keep using the functionality in the new WFM solution. The ordering will be taken by existing scenarios defined and can be chosen by the user under the user settings area. Note that this functionality is used to guarantee backward compatibility and will be extended in the future with a different approach. For customers that do not have scenarios defined, this setting will not be shown. A completely redesigned map allows you to view technicians, activities, equipment, and customers. Please note that the map is released in beta in order to collect customer feedback before a definitive switch from the old map feature to the new map feature. 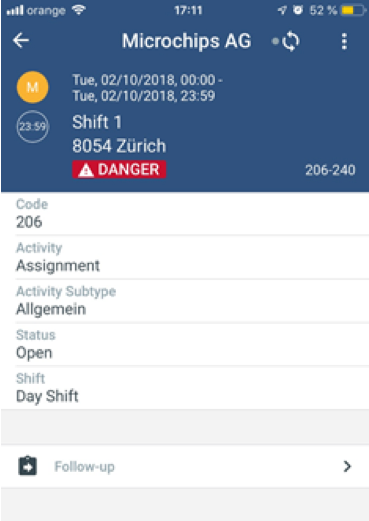 In order to access the new map, it is necessary to first login to Workforce Management and then navigate to the following: https://apps.coresystems.net/service-map/. 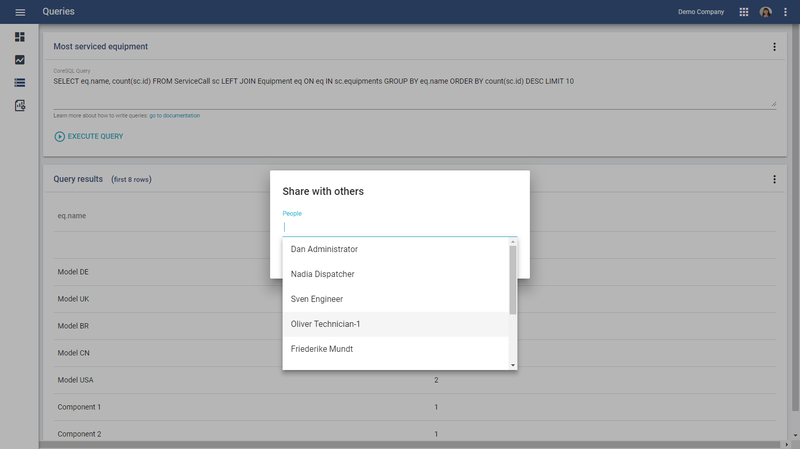 It is now possible to define and assign a team to a project from the project details section beside the Project Planning Board. Teams can consist of two or more technicians and ensures that only team members associated with the project can be assigned to related activities. 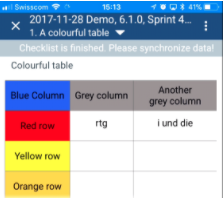 With the new version, it is now possible to highlight specific columns or rows by changing the font and/or background color of table column headers and row descriptions in checklist templates. These colors are displayed in the iOS and Android Field Service Mobile Applications. This new feature helps to visually highlight specific rows or columns and aid in filling in checklists. 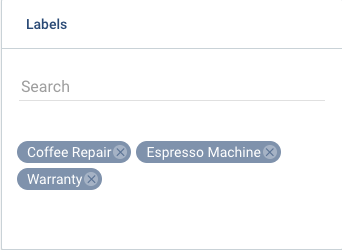 In the Knowledge Management application, it is now possible to add labels to checklist templates and filter the list of templates using labels. This is just the first step to improve checklist template management. 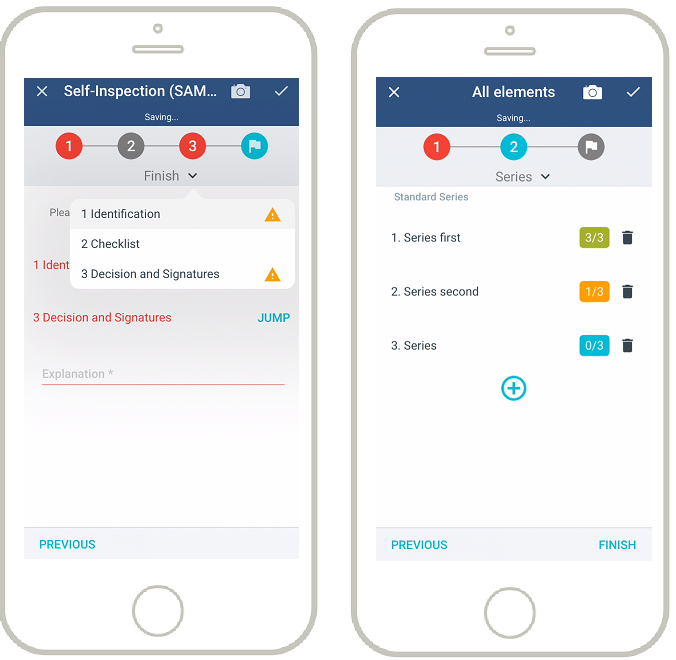 In future releases, labels will also be extended to the Field Service Mobile applications and Workforce Management when creating new checklist instances. With this version our Release Notes are accessible in the Coresystems Now Backend. We now speak Portuguese and Spanish. 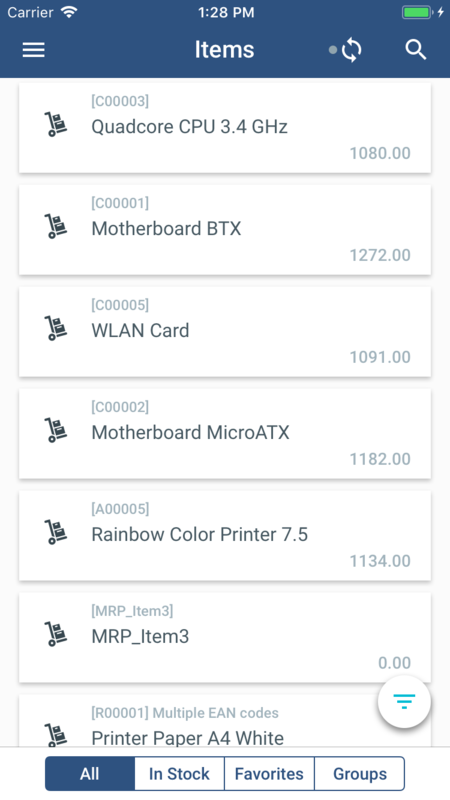 It is now possible to have the overview of my connected service partners. 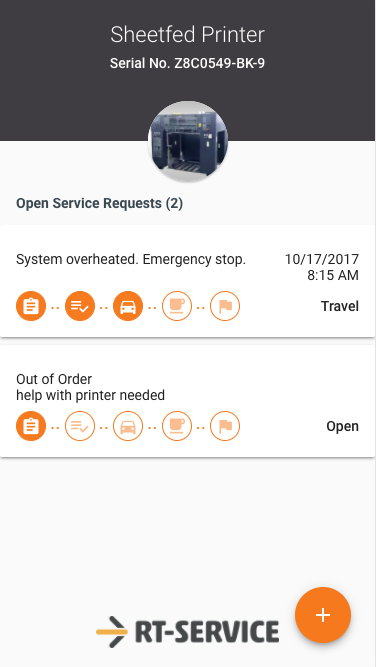 The user also can terminate connected service partners. 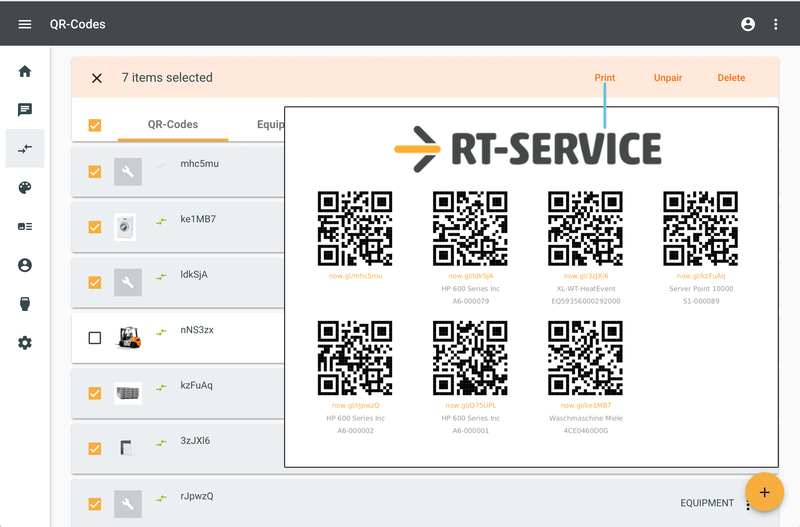 It is now possible to have the overview of service partners who are invited to the crowd. The user also can terminate the pending service partners. It is now possible to add valid skill duration when the user maintains technicians’ skills in connection wizard. We now support also group checkout and finish work in the integrated checkout on iOS. Review our online documentationfor details. 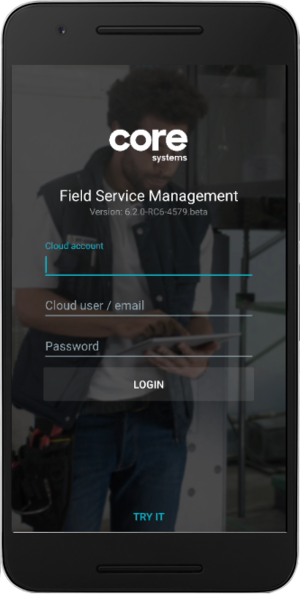 Note: for Beta users we also provide a new version of the Field Service Windows application that supports the integrated checkout. 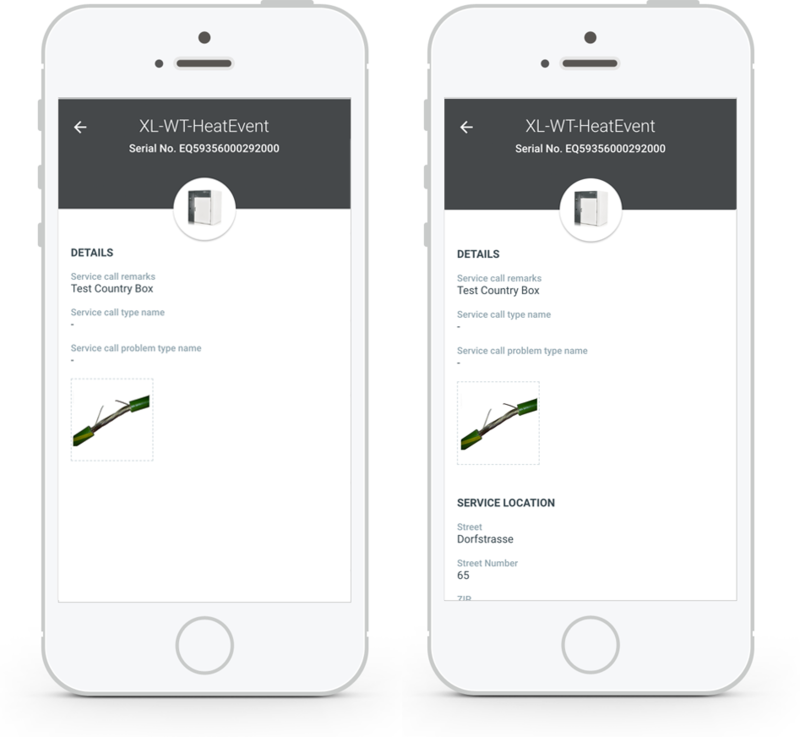 The new Field Service Mobile recognizes the URL in labels and values on a detail screen. The technician can then select any URL which opens the corresponding external application to view the link, helping you to better integrate. It is now possible to use the screen configurator to hide or display attachments, addresses, and/or contacts on the master data detail screens. This is supported for the business partners, equipment, people, and items’ details screens. If a user has customized UDFs that are displayed, the system will only display those visible UDFs as a filter dimension in the advanced filter. 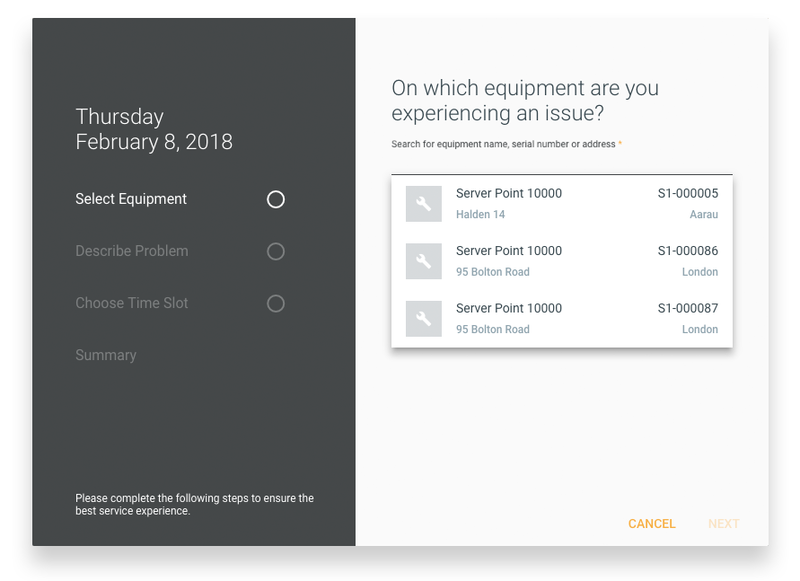 When a user creates a service contract record with multiple equipment associated with it, you can now define different rates of recurrence for each equipment. The system will then automatically generate service calls for each equipment based on this rate of recurrence. Users can now configure when to auto-generate maintenance service calls on service contract recurrence. 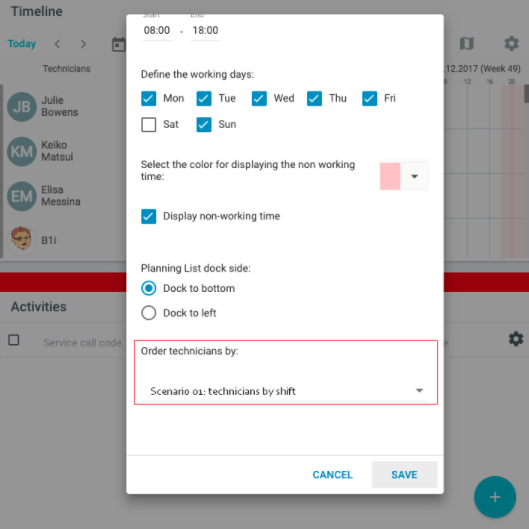 This feature is available in the advanced settings and helps user to dynamically plan maintenance service calls as early as possible, for improved results. Close Activities That are Checked-out but not yet Closed on Planning Board. In certain cases, activities are not closed at checkout. This is done so that they can be closed later (e.g. after reaching the HQ). 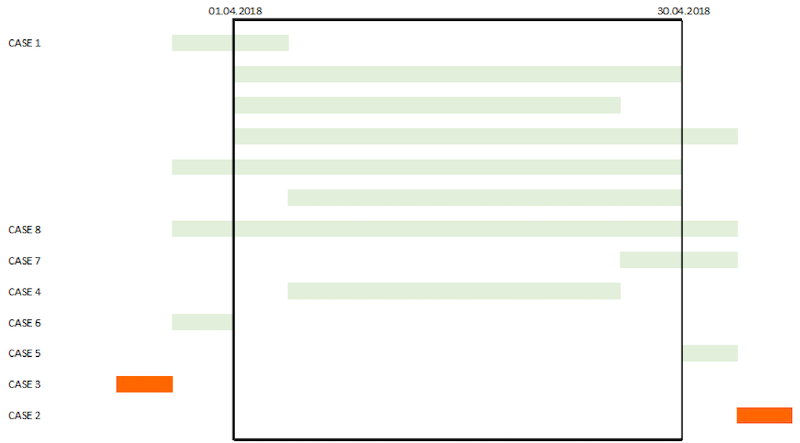 In certain cases, it is required that the planner close the activities that are checked-out but still open in order to mark them as “technically complete”. This procedure would otherwise not be allowed if there were open activities for the service call. 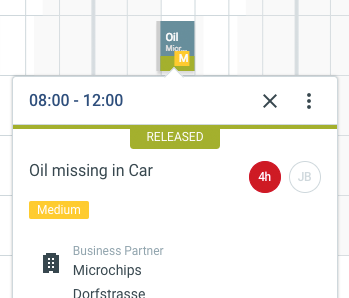 In order to have better visibility of the activities which have not been closed within the planned time a new functionality allows to display the overdue time of activities. In order to activate such functionality a company setting named CoreSystems.ResourcePlanner.AssignmentStatusMaximumOverdueTimeInMinutes should be defined and set. Note that the maximum growth displayed is 24hours. Any setting higher than this will not be considered. Note as well that the overtime is displayed only for released activities as those represents activities that have been handed over to technicians. The Planning List and Service Call List now use natural sorting. As many of our customers plan using a two-week window, we have introduced a new two-week view to support their planning needs. During the preparation phase of a project, it is now possible to define skills on activities within the project. This means that it is no longer necessary to navigate out of the Project Management app to define skills for activities. With the new OCR feature, you can simply take a picture of the equipment serial number. The serial number will be read and recognized, and the Service-Bot will be automatically launched. With this redesign, the end customer will get a more detailed, insightful overview of open requests. With this release, it is now possible to assign workflow step to all status types. Additionally, icons can be adjusted as well to suit your needs. If time slots feature is not used end customer can still handover a preferred time for service. End customer is now able to update his equipment address. 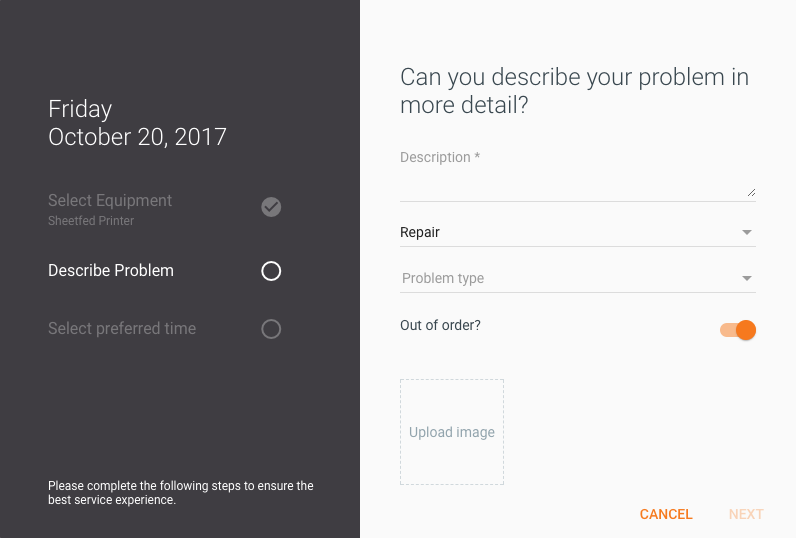 Two new input fields for problem description help to provide a better service experience. We extend this screen by adding image and further information like Request No. and Problem type. 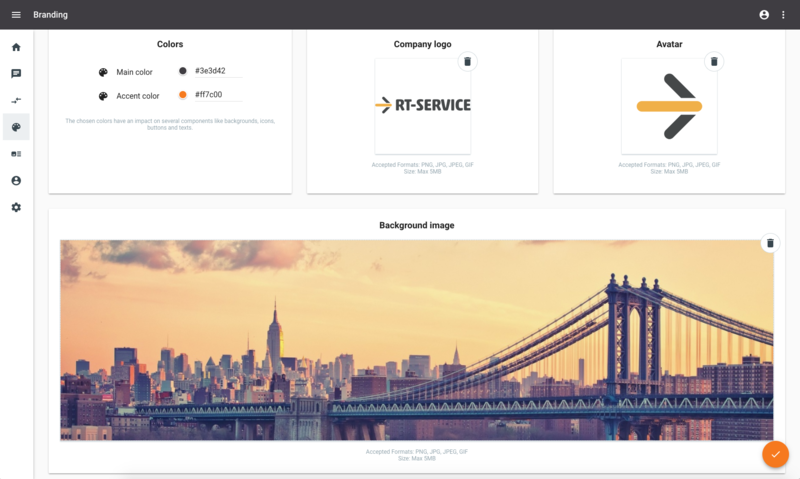 Give your Self Service Portal a personal touch by adding a background image. With this release, it is now possible to use subdomains or have your own domain name supported. You can now request a link that will enable you to safely log into the application. No need to manually enter and remember long, complex passwords. 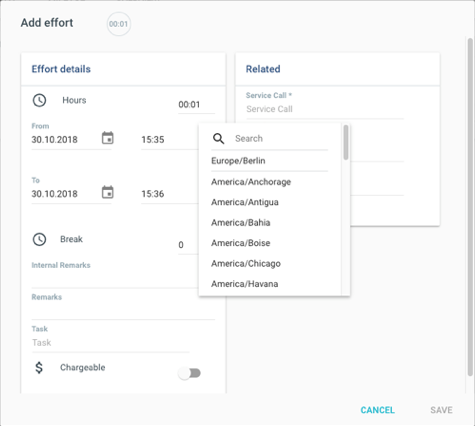 It is now possible to edit and delete Effort, Material, Mileage and Expense records on service calls and activities that have not yet been processed. 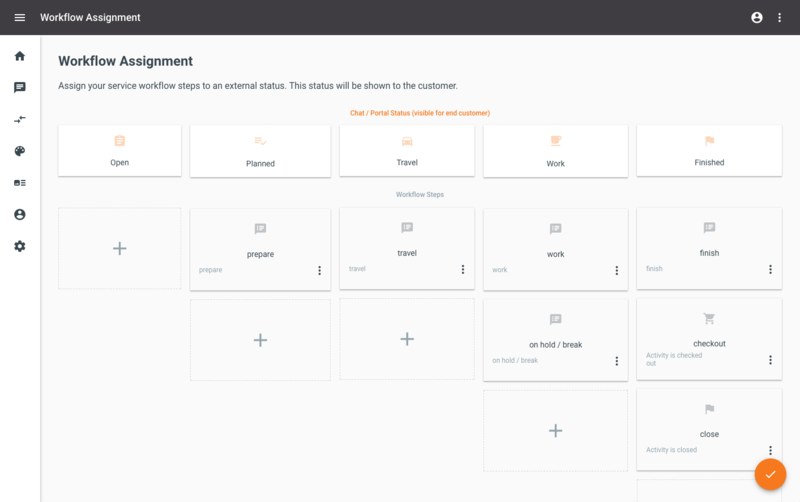 We added a new checkout flow that is integrated into Workflow Steps for the Standard Checkout (excluding the Group Checkout for this first release). 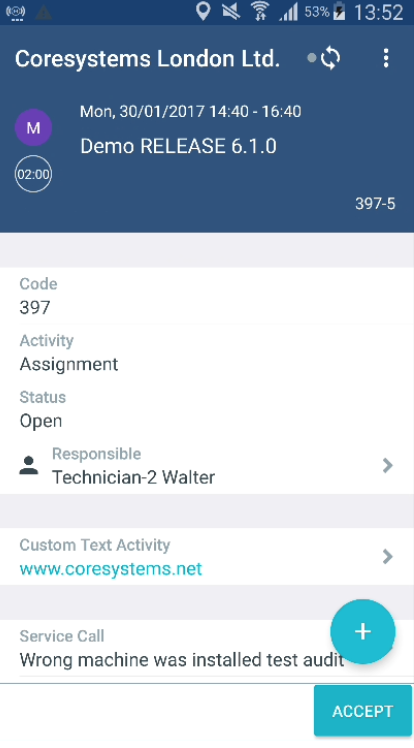 For information on how to configure this, please see our online documentation https://docs.coresystems.net/mobile/integrated-checkout.html.